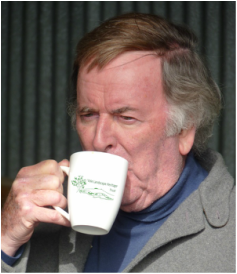 Over the years we have been lucky to appear on radio and television on several occasions and we have received the support of local personalities. Here are a few images from some of the visits. 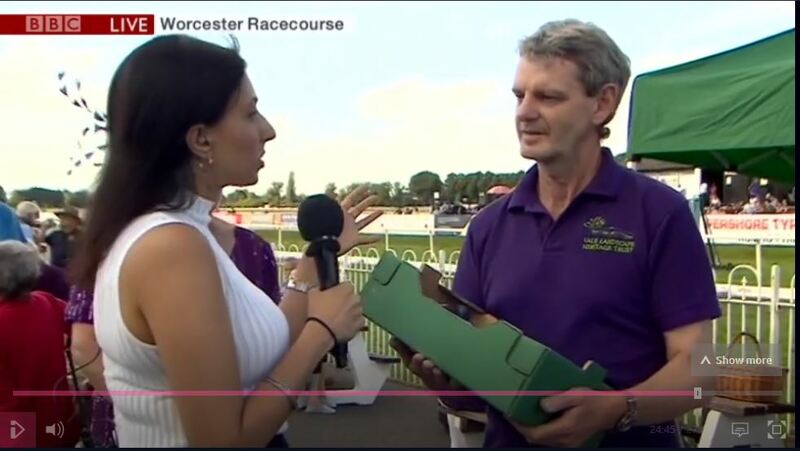 July 31st 2018 we were joined at Worcester Racecourse by BBC Midlands Today weather presenter Shefali Oza. 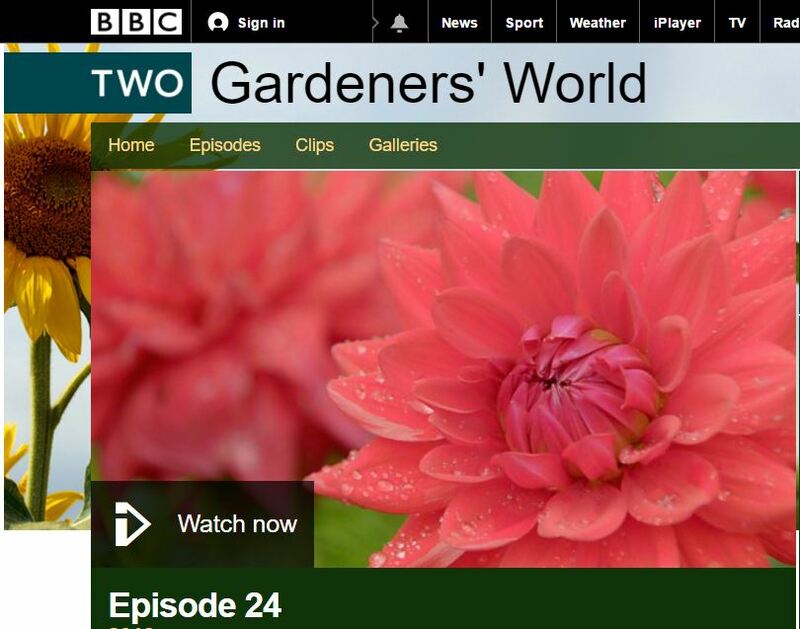 In August 2016, BBC 2 Gardner's World came to Hipton Hill to film our orchard at plum-picking time. 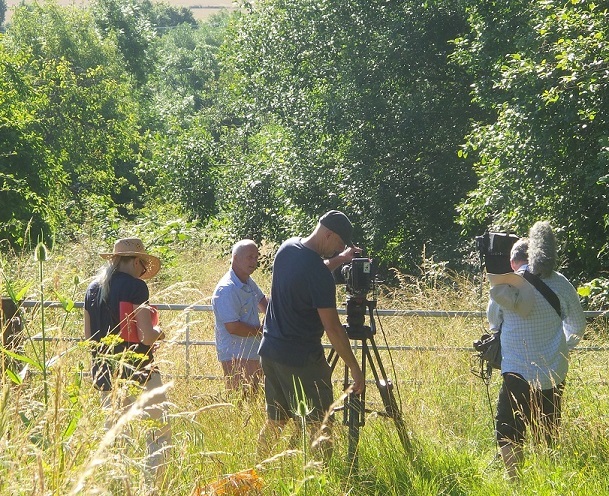 In the summer of 2015 Sarah Falkland from BBC Midlands Today joined a coach load of fruit pickers at Hipton Hill to find out why the Vale is just plum-crazy. 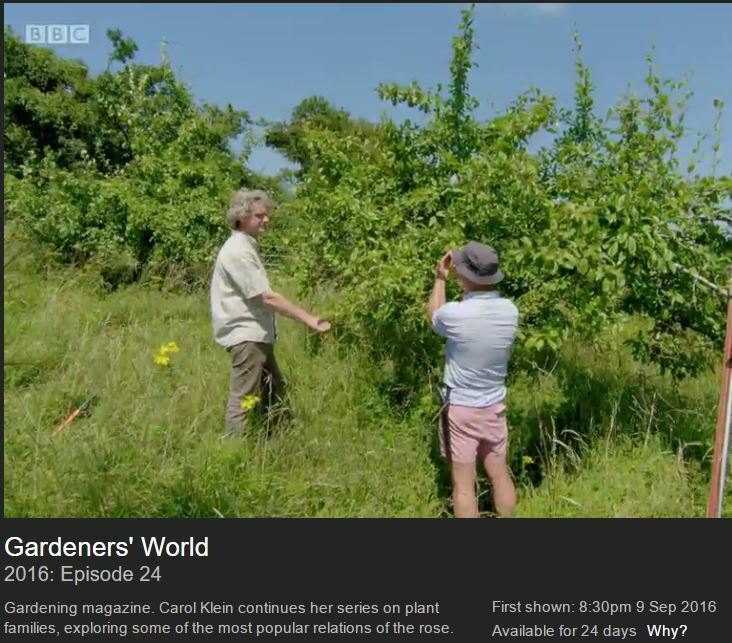 BBC Midlands Today's Environment Correspondent David Gregory-Kumar came to the Vale to find out why 2015 was such a good year for Sloes 22.10.15. 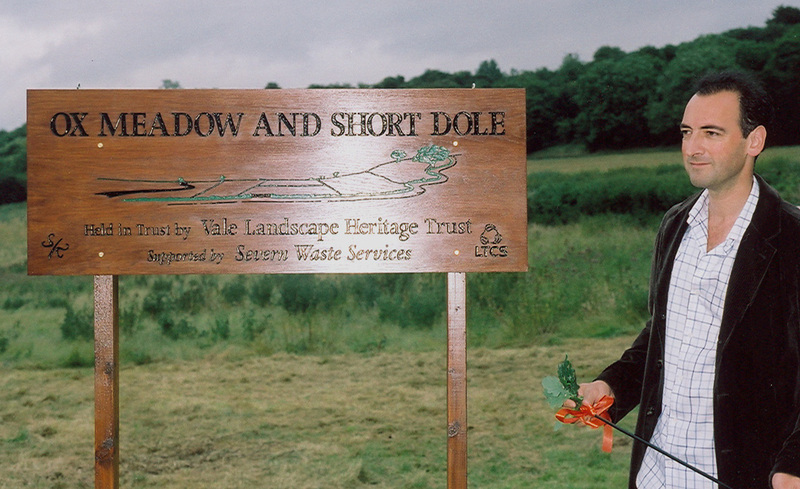 Alistair McGowan has visited the Trust a few times including the opening of our hay meadows at Littleton Meadows. 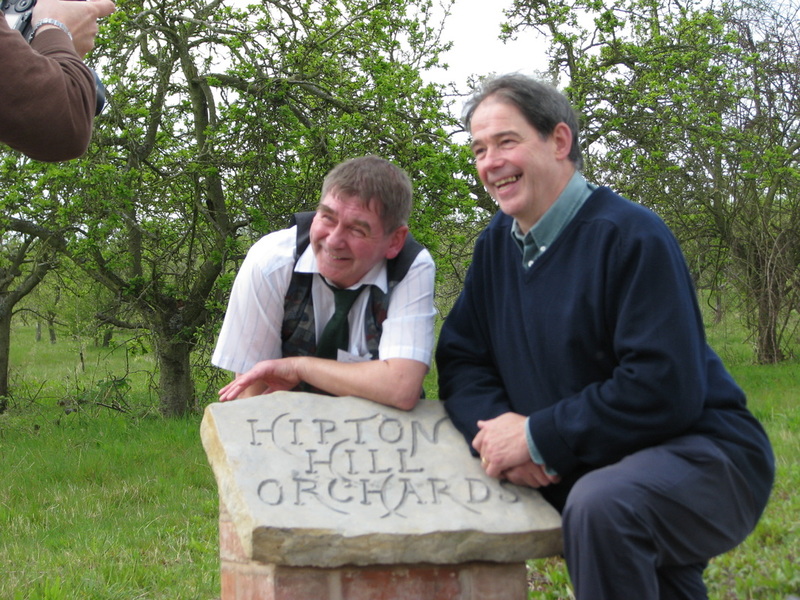 Jonathon Porritt joined Dave Shaw at the opening of Hipton Hill orchard. 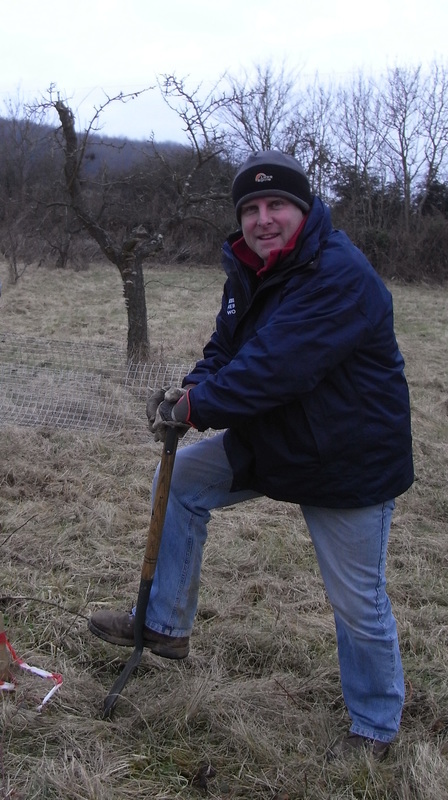 BBC Hereford and Worcester's Howard Bentham came to Hipton Hill in 2010, to plant trees as part of his effort to plant 'Howard's Wood' across the two counties. 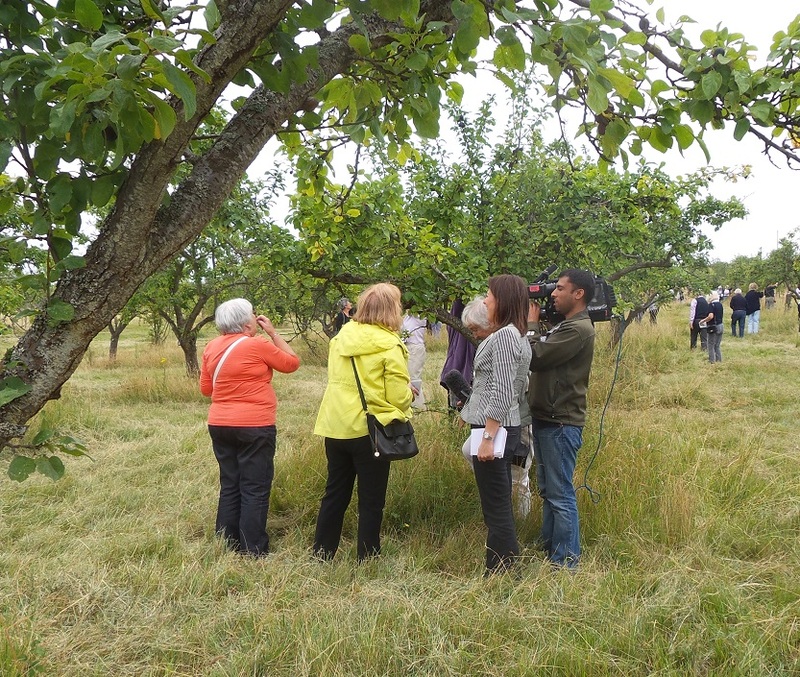 Vale Landscape Heritage Trust have even had a visit from the Australian chef and food writer Bill Granger, when he came to pick plums for one of his recipes.